Many runners spend hours doing speed, track and hill work in the hope of getting faster and securing an elusive podium finish. I recently found out that this time could be better spent searching for the right race: It’s not how fast you run, it’s the races you pick! It’s not always how fast you run, it’s the races you pick. The story about the time I finished 2nd in a marathon. 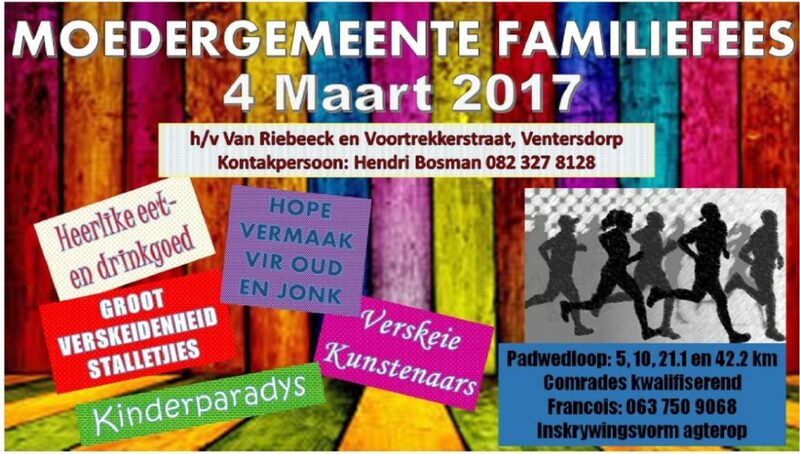 I am currently on a mission to run 100 different marathons and am therefore always on the lookout for new marathons that pop up… As luck would have it, a new race popped up on www.raceresults.co.za: The NGK Moedergemeente Familiefees Padwedloop in Ventersdorp. The race was not advertised or listed anywhere else and it was a rather strange flyer so I dropped the organiser an email to check it was a legitimate race and the logistics involved. Legitimate it was and doable the logistics were (a 1h40 drive from Joburg and a 7am start meant I could make it there with an early Saturday morning start). The race flyer – quite different from the usual. Tested my translation skills as well! I arrived with ample time to spare and managed to park right next to the finish line. It was still early but I was surprised to see that there wasn’t much going on. I got my race number and chatted to the organisers who were hoping to get “a 100 or so runners” (at this stage they only needed 99 more). A few more people did arrive and a very small group of runners gathered at the start line. There was some mumbled discussion and our group was down to seven after a handful of runners voluntarily downgraded themselves to the half marathon which started an hour later (presumably they didn’t fancy a very lonely marathon). Amongst the seven of us, there were even two runners who had flown up the night before all the way from Cape Town as this was the last weekend to run a Two Oceans qualifier (I am not sure what excuse the rest of the field had). The gun went off and three stallions shot off into the distance, three cart horses less naturally gifted athletes plodded away at the back – which left me as the Mann in the middle (or, considering the location, perhaps “In the centre Mr. Venter” would be more appropriate). The finish line was only slightly less crowded than the start line 4 hours earlier. The course was an out and back so you can see how far ahead your competition is as you near the turnaround point. 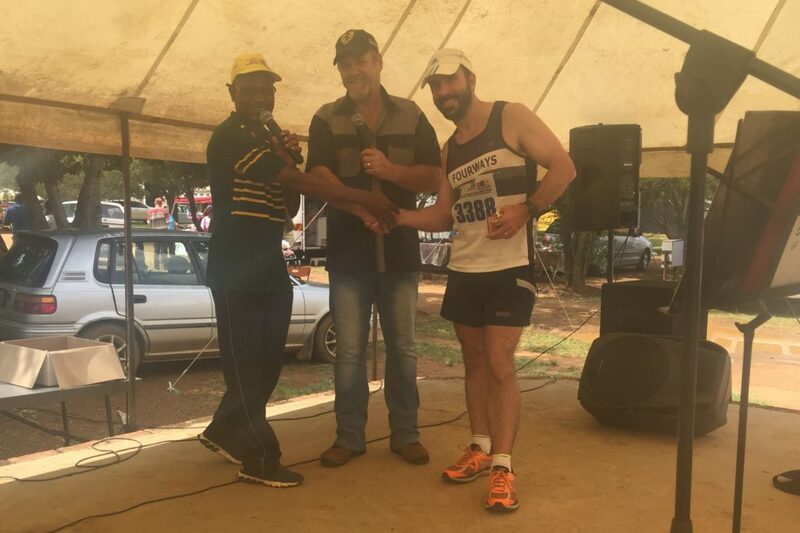 Any hopes I had of a podium finish were dashed when I saw the lead that the first three runners had established (8km, 4km and 2km respectively). Nevertheless, I tortised along hoping to catch some hares on the way home. The roads in Ventersdorp are long and straight and I spotted my first hare in the distance. I slowly reeled him in and eventually passed him with a friendly greeting and an extra spring in my step highlighting that I was still “fresh” so trying to keep up with me would be futile. With about 10kms to go I spotted my second hare far off into the distance. The initial burst for glory had taken its toll and I noticed he was walking the uphills. It’s not often that you hope for more hills during the last 10kms of a marathon but this was a unique situation. I smoothed down my race number, wiped the sweat from my brow, redid my make-up, made sure my posture was perfect and breezed passed with a few pleasantries like “isn’t it a lovely morning for a marathon”. I would have loved to complete the full Fordyce passing repertoire but had to leave out the “sting in the tail” handshake as this is reserved for when one takes the lead – unfortunately the winner was way ahead of me finishing around 3:30 versus my solid and spectacularly unimpressive 4:04. Bruce Fordyce takes the lead at Comrades ’88, executing the iconic “Sting in the tail” handshake on Mark Page. 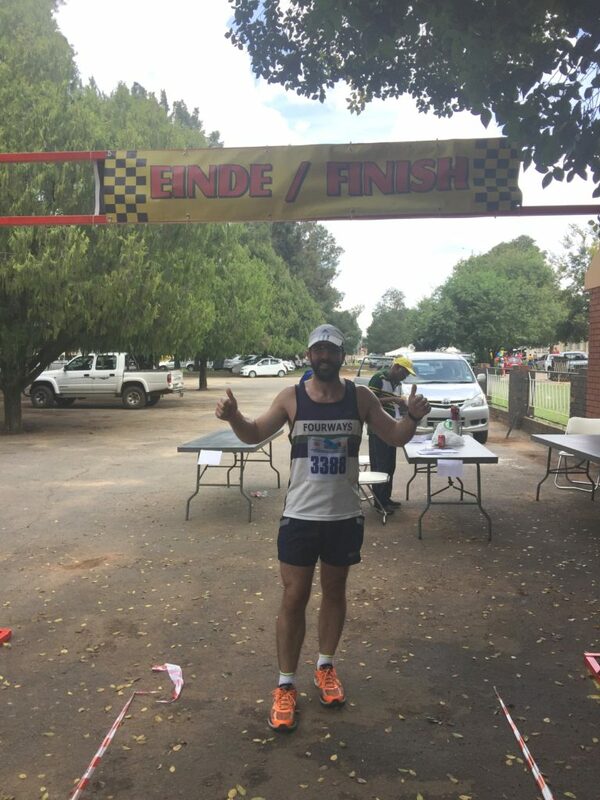 I stormed back into Ventersdorp and crossed the finish line to the rapturous applause of both race organisers. 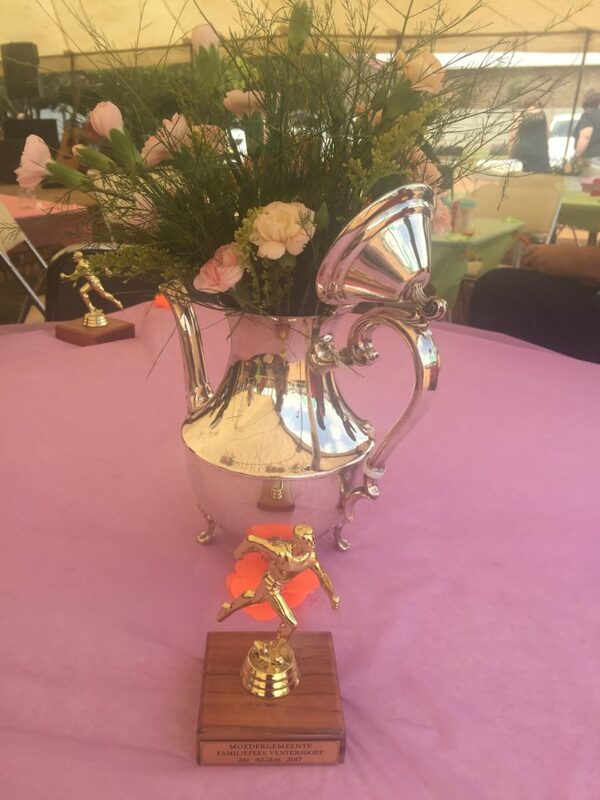 There was no prize money on offer but I was advised that I’d need to stick around to collect a trophy. After I regained my breath, I enjoyed the novel experience of phoning my wife to inform her that I would be arriving home later than planned because “I had to wait for prize giving”. The Moedergemeente Familiefees (basically a church bazaar) was in full swing by the time I finished so I browsed the stalls and listened to some local artists belt out some “treffers” whilst waiting for my moment of podium glory. A rare moment of podium glory in my running career. The drive home gave me a chance to reminisce on my early years as a young and naive (but reasonably quick) runner. Everyone dreams of winning a race but most of us realise that’s not going to happen. Some of us hold still hold onto a secret dream of winning a race after (a) everyone else takes the wrong turn or (b) no one else arrives at the start. I almost got (b) right – coming so close, I will continue to hunt down small races in the hope that one day I can be the fastest runner out there! Bruce Hargreaves has put together a number of great Comrades videos on YouTube. 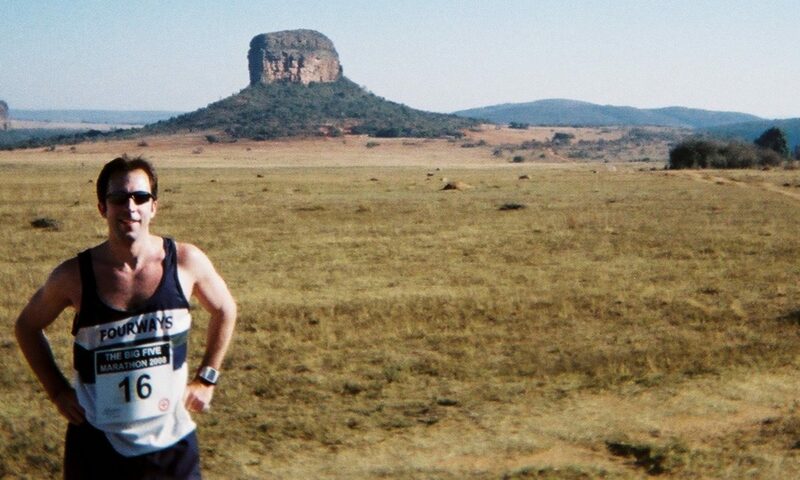 He covers Bruce Fordyce, the “King of Comrades”, in “The Comrades Journey Part 3” – well worth a watch. 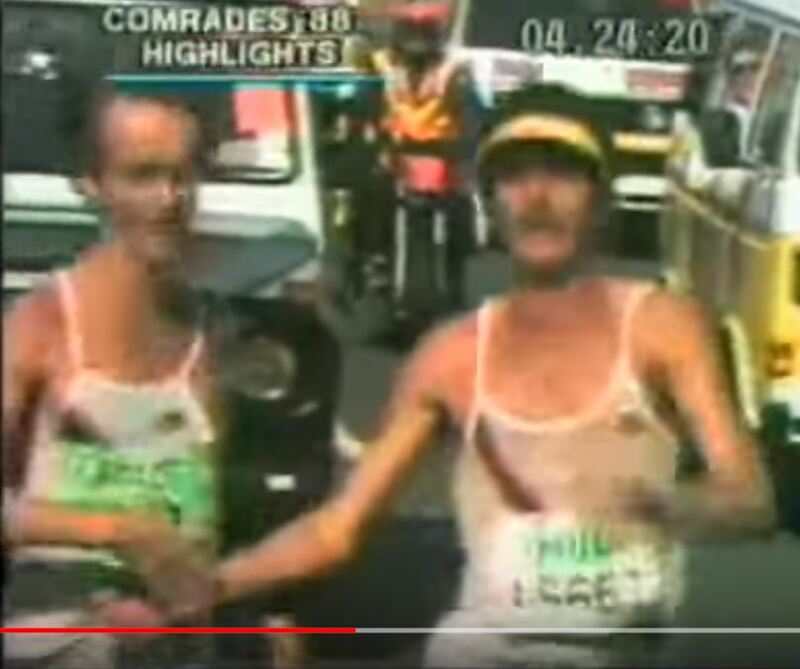 You can see the Fordyce taking the lead from Mark Page at Comrades 1988 at around 4:15 in the clip. The above screen capture of the “Sting in the Tail” handshake is from this clip.